Instagram and other social networking sites such as YouTube have only encouraged the growth of the movement, with an increasing number of celebrities, influencers and people of interest posting photos of their healthy dishes online and suggesting their clean eating is the only reason behind their perfect bodies and perfect photos. With so many of us being influenced by what we see online, there is little wonder as to why the movement has grown so rapidly over the last few years – but what happens when it becomes obsessive? 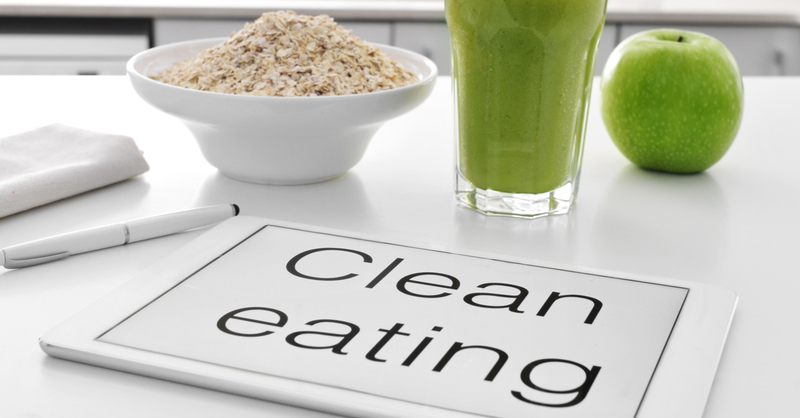 The clean eating movement is not good news for everyone. Those of us who suffer with eating disorders often find ourselves restricting our diets and counting calories throughout the day, as well as avoiding particular foods or food groups that are perceived as fattening, high-calorie or simply unhealthy. Movements encouraging people to restrict their food intake or avoid particular foods can be particularly harmful for those susceptible to, suffering with or recovering from eating disorders. Clean Eating is the name given to describe a raw, mostly plant-based diet in which processed and cooked foods are avoided, and unrefined produce is favoured. Whilst these diets offer an abundance of vitamins, minerals and antioxidants found in so-called “super” foods – suggesting it is “clean” and healthy, they often lack in other nutrients, proteins and other vital food groups. In fact, a number of doctors have noted a rise in extremely underweight women being referred to eating disorder and nutrition specialists, despite believing the diet they are on is good for their health. Doctor Max Pemberton – an eating disorder specialist – recently wrote an open letter to The Daily Mail expressing his opinions, as a health care professional, on the recent clean eating movement. He stated in the publication that “For those of us who work in treating eating disorders, ‘clean eating’ — a trend that focuses on avoiding processed foods and consuming raw, unrefined produce — is a phrase we have come to dread,” and further described the movement as “toxic”. Doctor Pemberton also stated his concerns for the mental health of women participating in “clean” diets – with the lack of glucose in the blood causing depression and episodes of binging on so-called “bad” foods being often followed by feelings of failure, shame and sometimes leading to purging. Whilst healthy eating is often great for most of us, clean eating can easily come obsessive – particularly when cutting out entire food groups such as sugar, carbohydrates or animal products for example. Any time a diet takes over your everyday life, such as preventing you from socialising with friends as you can’t find a restaurant to cater for your needs or you find yourself compulsively checking food and nutrients labels before you eat to check there is nothing forbidden, it is important to address your relationship with food. Orthorexia is the name given to the eating disorder in which the sufferer obsesses over healthy eating, rather than avoiding all foods or binging which is more traditionally associated with eating disorders. Whilst the condition is not recognised in a clinical setting as a separate eating disorder (those suffering with orthorexia will be diagnosed with anorexia), the condition has been acknowledged since 1997 and the number of sufferers is thought to be increasing, alongside the current movement. For those already suffering with eating disorders, such as anorexia or bulimia, clean eating can provide the perfect place to hide their condition, offering an excuse to be counting calories and avoiding certain foods at the same time as being able to convince family and friends that they are embarking on a new, healthy eating regime. Whilst those who are recovering from eating disorders can find the trend difficult to avoid with the current media attention, social media following and increasing number of raw and “clean” restaurants and cafes opening throughout the UK. Through social media the clean eating trend only seems to be growing, however as it grows the movement has also gained it’s critics – including a number of health professionals. If you’re worried that a loved one might be obsessing too much over being “healthy”, encourage them to speak to a professional about how to maintain their lifestyle, whilst ensuring they aren’t avoiding any key nutrients or having a negative impact on their mental health.